In an effort to improve access to technology for those with disabilities, Google is upgrading its set of accessibility tools available across multiple platforms. The largest of which, at least in our opinion, is the availability of a new Voice Access app on Google Play. 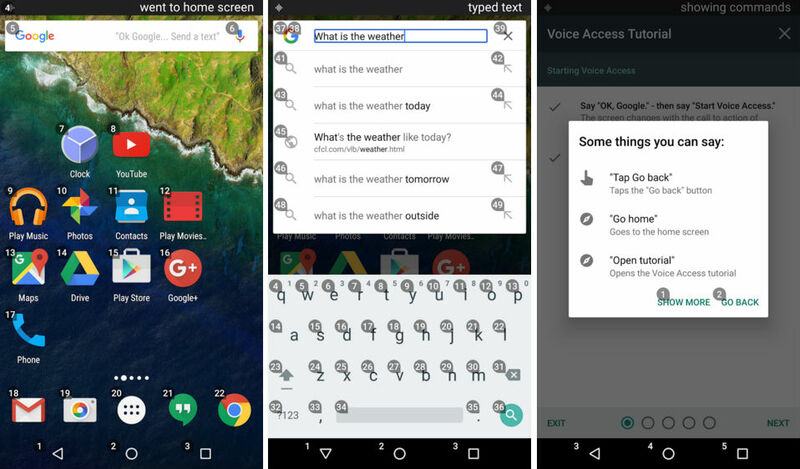 Currently downloadable via a beta, Voice Access allows users to control all aspects of their smartphone by speaking simple commands. You can swipe across your screen, open apps, and send messages all by using your voice. When enabled, Voice Access assigns all objects on a screen with a number. A user can then simply command the phone to open a select app, perform a certain function, or swipe through any app using their voice. Any app is supported, making it perfect for those who can’t use their hands as others normally would. To enable Voice Access once this app is installed, you can head into the Accessibility menu in the settings menu. Once enabled, all actions can be controlled by your voice. To disable the feature, head to the same menu. It should also be noted that many phones already offer a feature like Voice Access, but are not quite as advanced. In addition to this new app, Google previously introduced voice dictation for its Google Docs app on desktop computers, as well as launched a better desktop reader for Chromebook laptops. To try out Voice Access on your own phone, signup for the beta by clicking the link below, then downloading it directly from Google Play. Question of the Day: Why Don't You Care About HTC Anymore?